Hollow and Swell, an exhibition of new animations and watercolors by Chris Doyle. The works mark the conclusion of Doyle's extended response to Hudson River School painter Thomas Cole's iconic five part series, The Course of Empire (1833 - 1836), which depicts a single landscape as it transitions from a pastoral setting to a dense metropolis that finally, through conflict and overpopulation, deteriorates to a site of overgrown ruins. 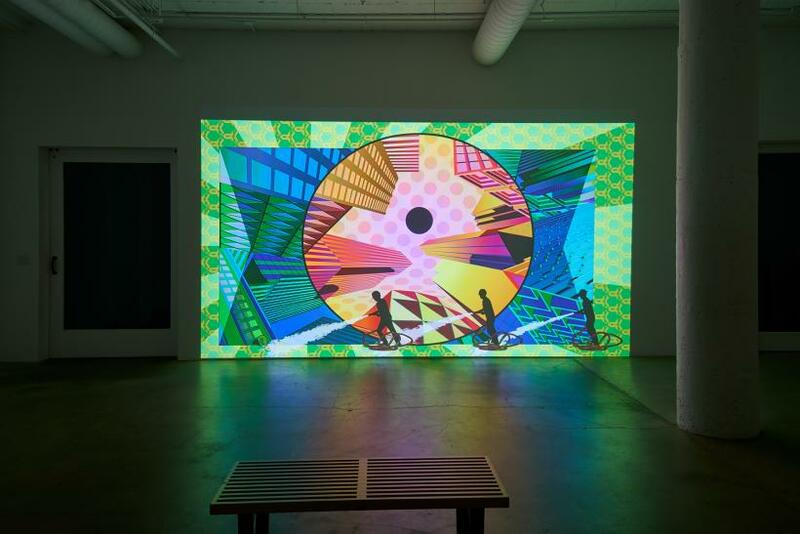 Doyle's work considers the impacts of digital technology on a rapidly proliferating cultural landscape.